Singapore swimmer Joseph Schooling's Olympic gold-medal win in the men's 100m butterfly event yesterday united a nation. Social-media feeds were chock full of videos and photos of the star, as well as congratulatory memes and declarations of love. A common view of online videos is that a short video always trumps a long one because netizens have short attention spans. But so inspiring was Schooling's win that an hour-long Facebook live video of his friends and family watching the race back home in Singapore became one of The Straits Times' top videos of the day. Within six hours, it reached 1.2 million users and garnered 130,000 likes, comments and shares. The pride on Schooling's father Colin's face was unmistakeable. Singaporeans, a practical, pragmatic yet hilarious bunch, also wasted no time in producing memes. #GoJo, #GoSchooling, #JosephSchoolingand and #TeamSingapore also started trending. There were 380,000 tweets on Schooling's win within three hours of the feat. 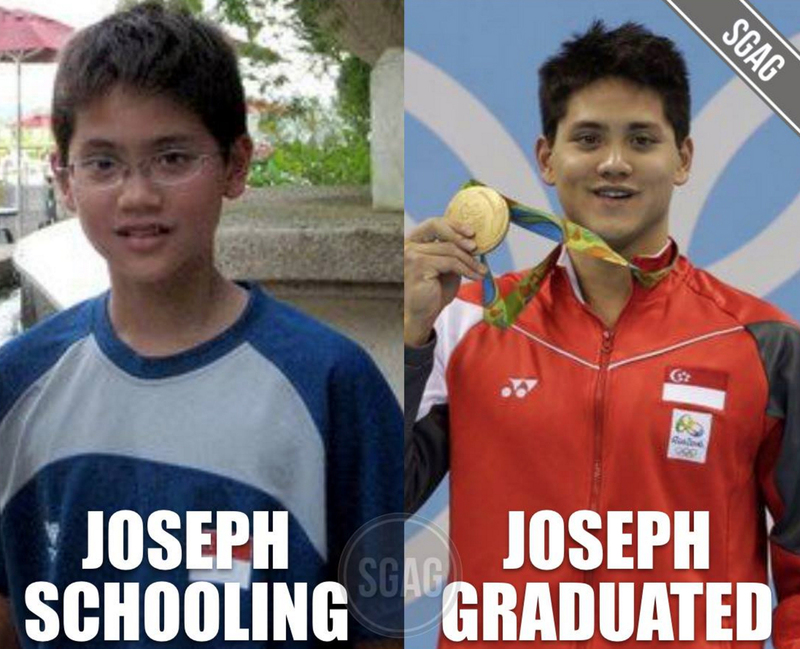 "Joseph Schooling" has become "Joseph Graduated", read a post by humour site Sgag. A message by Twitter user Fake PM Lee said: "In the time it takes you to throw a ball and catch a Pokemon, Schooling has caught a gold medal. Olympic Record!" The number 5039 - Schooling's time of 50.39 seconds - was sold out at Singapore Pools outlets within hours of the win. "Schooling 'cheong' in swimming pool. Singaporeans 'cheong' to Singapore Pools," said another humour site. In the interviews that followed, Schooling's humility and grace despite his epic win touched the hearts of many. He praised the three men he beat - swimming legend Michael Phelps, South African Chad le Clos and Hungary's Laszlo Cseh - who tied for second place. BADANG: Badang was a slave who dreamt of becoming free, and his story is intricately tied to the Singapore Stone. His story was prominently featured in this year's National Day Parade. But, to many, it was an unfamiliar tale. #THAILANDATTACKS: The series of senseless attacks in several Thai towns popular with tourists was one of the top trends on Google and Twitter. Singapore: Then and Now! : A six-minute video by local YouTube channel Night Owl Cinematics on how Singapore has changed over the years was the top video of the week, garnering more than 340,000 views. People recklessly dashing across roads, illegally parked vehicles, piles of litter. These are some of the things that are now associated with the hit game Pokemon Go, just one week after its launch. But some, like 19-year-old Jantzen Lee, are looking to change that. For the past few days, the polytechnic student has been camping in Hougang, specifically at Block 401 in Avenue 10, from 10pm to 6am for rare monsters. 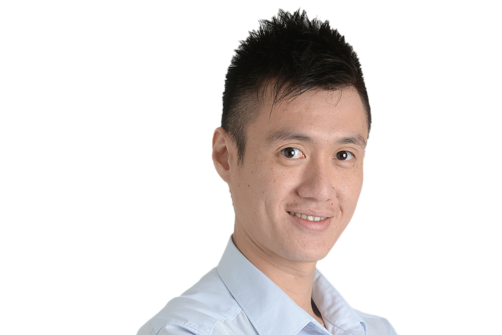 He is an administrator for the Pokemon Go SG Hougang-ers Facebook group, and also helps manage a public Telegram chat where people share rare sightings and tips with each other. Yesterday, for instance, a dragon-like Gyarados spawned in nearby Punggol Park at 1.15am. Pokemon hunters started running enthusiastically. Screams of excitement were heard. This is a common sight to Mr Lee, whose main goal currently is to "protect the residents of the area" (aside from also getting some rare creatures, of course). "Crowds will disperse from 4am, leaving behind a large amount of rubbish and cigarette butts all over the area," he told The Sunday Times. "Players are creating disturbances late into the night. We have to educate them to be more socially-conscious," he added. And so Mr Lee started getting plastic bags from nearby convenience stores. Once people start leaving, he and a handful of civic-minded members from the Telegram chat get to work, gathering the trash left behind. The enthusiasm in the chat is infectious. "Let's do some area cleaning!" said one member. Another volunteered to take along more trash bags to help out. According to Mr Lee, an elderly cleaner had to turn up earlier than his usual 6am reporting time just to make sure he could clear the extra garbage left behind by Pokemon Go hunters. To make life easier for the cleaner, Mr Lee and his fellow hunters have started picking up rubbish from 4am. Similar messages to help clear the mess left behind have also been shared on other dedicated Facebook pages like Pokemon GO Singapore, Pokemon Go North East Singapore and Pokemon Go West. Love the game or hate it, it's here to stay. Civic-minded players can certainly make lives more bearable for those not caught up in the game.